Alright we’re live! Josh has some hope for Johns will to improve his vision. John shows his collection of eye glasses. John admits the eye experiment is a pain. Chuck makes a good point about John’s experiment and positive mindset are aiding his success. Chuck mentions Carol Dweck’s book Mindset. Also some talk about Money Master the Game by Tony Robbins. Chuck shares learning about where you are putting your money. 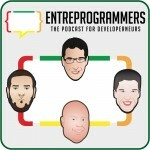 EntreProgrammers talk about headphones and audio quality. John shares his thoughts on the Richest Man in Babylon story. Chuck is talking about using a standup desk, and having experienced some energy improvements. Chuck explains the stand up desk health benefits. Chuck is restarting a morning routine, thanks to Hal Elrod’s book Miracle Morning. John feels like he is doing the opposite of Chuck routine. John talks about turning the routine into a habit over time. Chuck has a schedule for his Remote Conferences that he is hosting every month. Chuck talks about the specific details for the Newbie Conference. Josh is interested in the idea, because this resource did not exist when he was learning to code. Josh talks about funnels and emails for these remote conferences. Chuck is going to talk about podcasting at a conference in Salt Lake City. Chuck asks what he could possibly do to gain interest with small business owners. John suggest collecting emails. Josh has been tracking his writing through out the week. Josh is working on doing a thousand words per day. John mentions enjoying Josh’s emails. Josh shares information and gaining a new client. Josh talks about how he is enjoying the Discovery process to on board new clients. Johns talks about the effects of 0 Carbs diet. Josh stops the Steak and Eggs diet, because he was getting snappy toward people. John mentions the features of close.io. Josh mentions the Sales Force, and the issues with CRMs. Chuck shares his complains with the CRMs he was using. John suggests going to Upwork or Clarity.FM and hire a professional, or book time to learn how to use Sales Force. John talks about how well the sales page and copy was written by Josh. 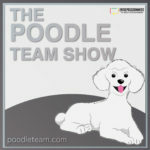 Chuck talks about the email system he uses to coordinate is panel podcasts. John talks about the mail merge features and customizable features that help you get things done. John is exploring the things he is excited about. John is working on getting conversion rates up. John has put out jobs on Fiverr and Upwork for his workbook project. John has been working with Perfect Audience and learning to use the system of retargeting. Josh ask if Perfect Audience was similar to Custom Audiences on Facebook? John talks the tracking and pixels in the emails. Josh is not to keen on the traffic he is attracting. Josh talks about the power of Facebook tracking or marketing strategies. Josh suggest to John and Chuck to learn to market on Facebook. John talks about finding sponsors and creating a media kit for the sponsorship levels. John mention that he is typing 55 words per minute, with correct technique. 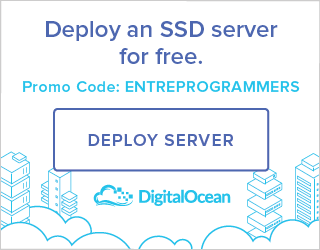 John talks about updating the EntreProgrammers Website, or changing servers. Should be running faster.